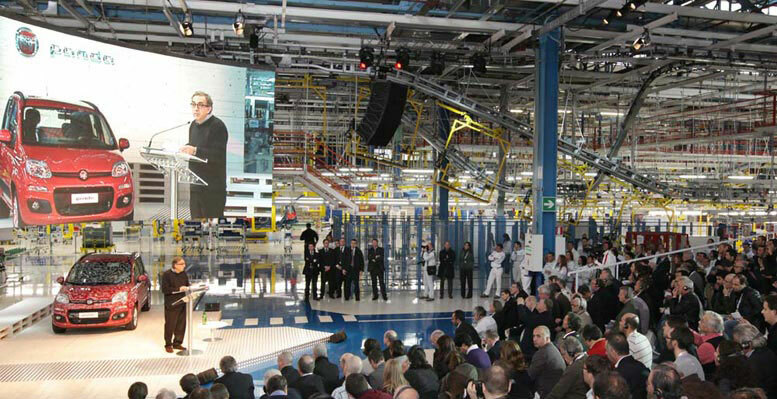 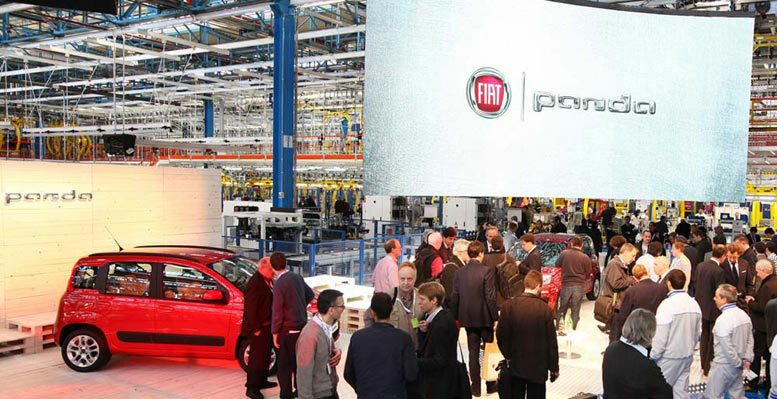 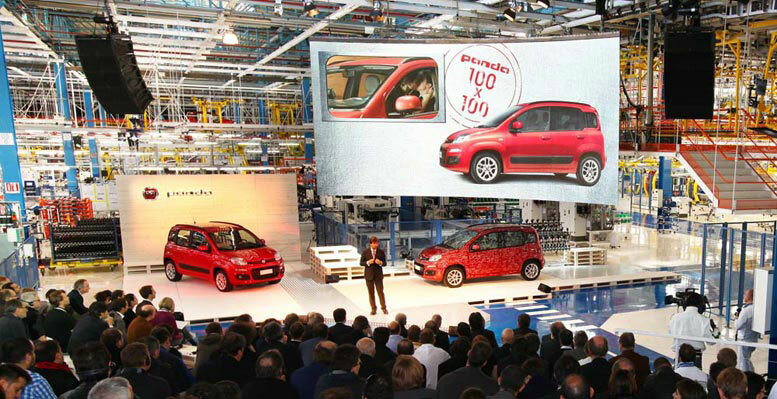 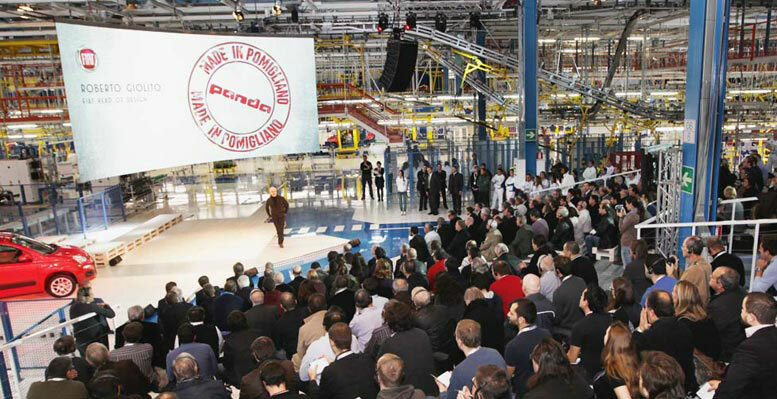 The location of the launch of New Panda” Fiat was the new factory Giambattista Vico in Pomigliano, completely renovated and re-equipped, so to represent today a center of excellence of the car industry. 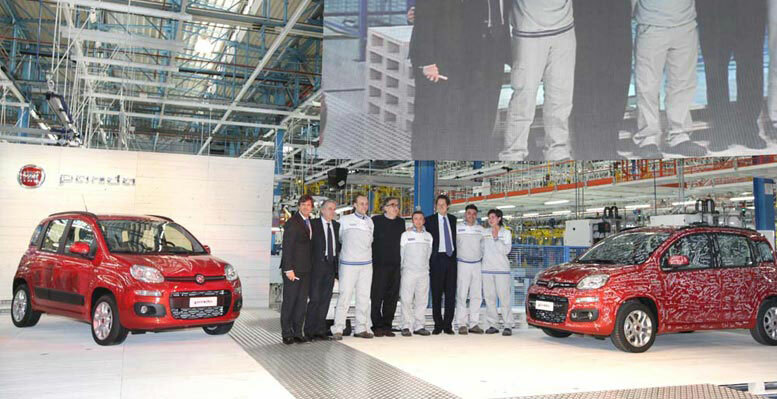 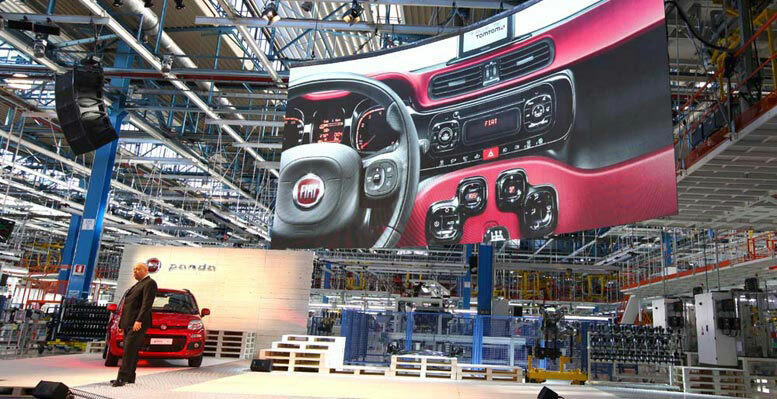 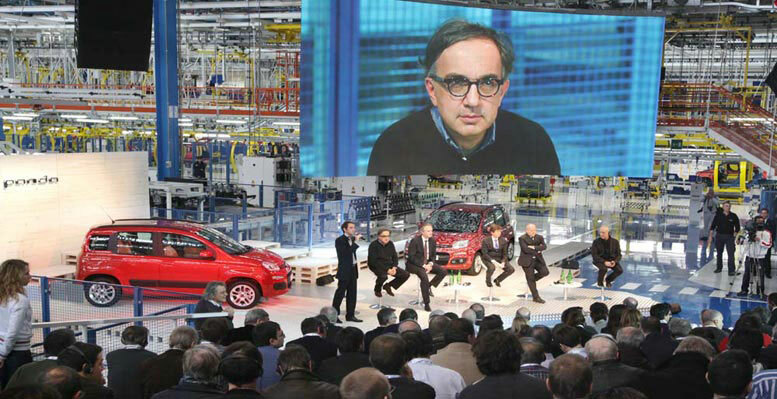 The new Panda was presented to Italian and international press directly by the Fiat management. 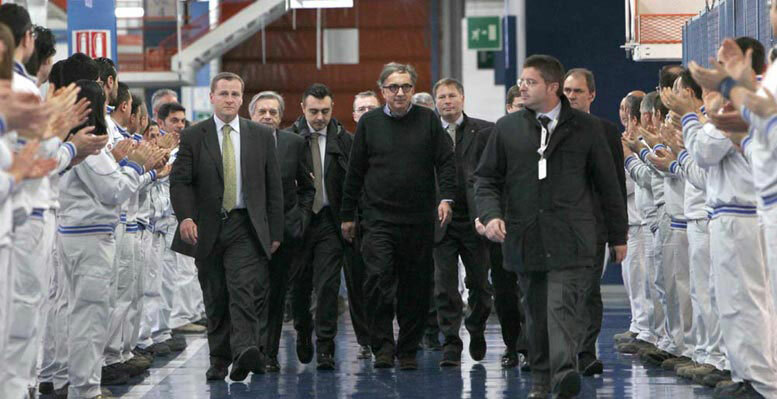 All the factory staff warmly welcomed the guests at the entrance of the poduction line, along a 70×150 meters hallway. 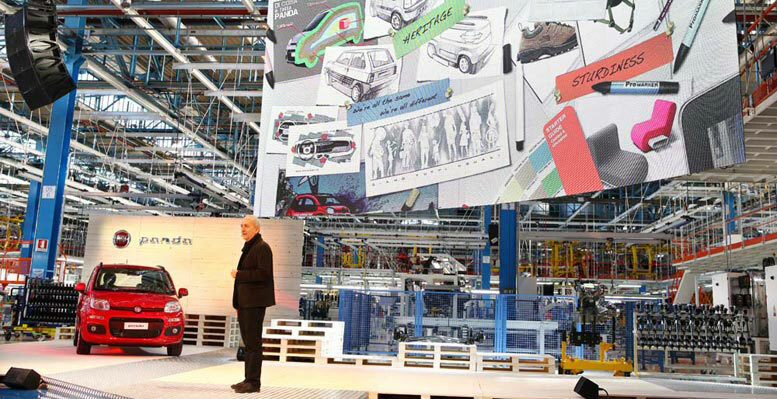 The press conference took place in the heart of the factory, along the line production where Panda itself is assembled. 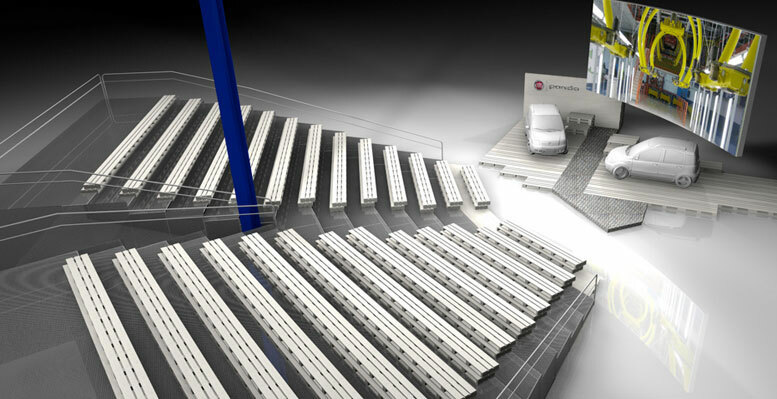 The scene setting was characterized by an amphitheater, a central stage and a big led screen “embracing” the scene. 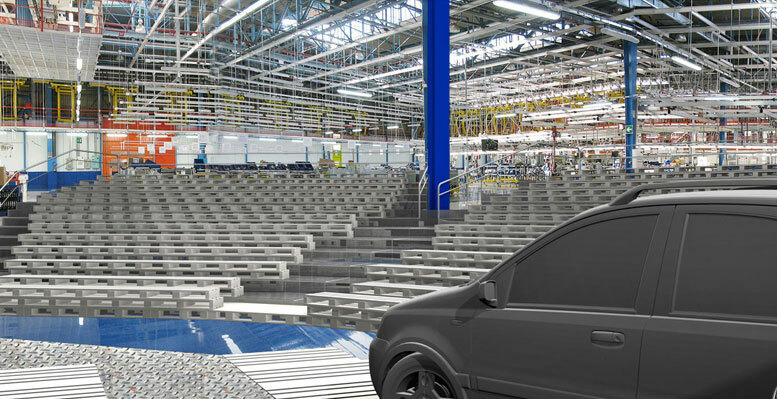 The choice of industrial materials (whitened wood Europallet and steel) and the functional and linear design was fundamental to perfectly match scene and context. 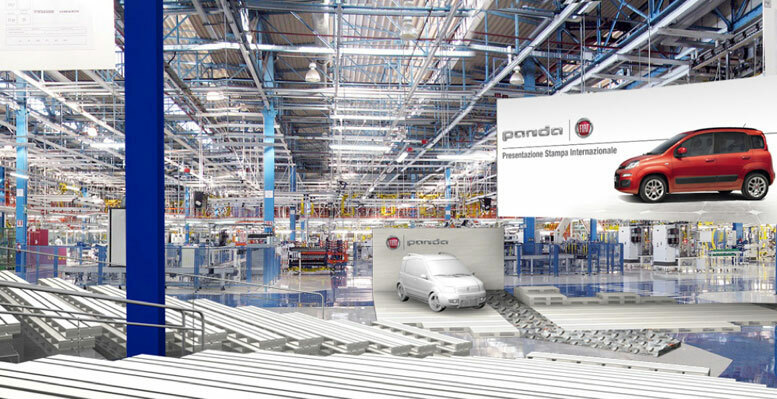 The New Panda and the tridimensional logotype in chromed resin completed the scene.